In 2006 in Germany two "Meet-the-Power events took place, some kind of big exhibition, where you could meet Phil Taylor, Raymond van Barneveld and Eric Bristow and with some luck could even play against them. The events were a big success and resulted in the founding of the GDC (German Darts Cooperation) in 2007. The goal of the GDC then was to lead up dart players from Germany, Austria and Switzerland to professional darts. In 2007 and 2008 a series of ranking tournaments were organised through which players could qualify for the PDC World Championship. Beside those ranking tournaments the GDC started to organise PDC Pro Tour Events in Germany - the continental players so had a chance to play against the PDC professionals. From the the first event 2007 the German Darts Championship in Halle - the first PDC Major tournament on the European Continent- was a big success. In 2008 Pro Tour events in Holland were added which counted - as the German Pro Tour events - for the new PDC European Order of Merit, one year later the first Pro Tour event in Austria followed. A second PDC Major came to Germany -the new European Championship. In 2009 it moved to Holland but returned to Germany in 2010. Beside this in 2008 the GDC introduced the Major League for dart teams - a league which offers price money. In 2010 it first had to be cancelled as not enough teams had registered - but it looks it can start again only slightly delayed. Since 2009 the GDC exclusively is allowed to organise PDC Events on the European Continent (with the exception of Gibraltar) and itchanged the name into PDC Europe. As the number of participants in the ranking tournaments dwindled those were dropped and instead a German Championship was introduced to guarantee that at least one German player will play the PDC World Championship. The first German Champion was Jyhan Artut. But this German Championship took place only one time. In 2010 the PDC Europe organised qualifiers for the PDC Unicorn Women's World Championship and the U 21 PDC Unicorn World Championship and started the project Darts Academy where young players can practice with a PDC Professional. The Darts Academy only existed for a short time. 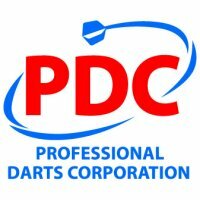 The by the PDC Europe organised Players Championships on the continent were 2012 replaced by the new European Tour in which by now the top 16 of the Pro Tour Order of Merit play the 16 winning qualifiers in the second round. For each tournament an UK qualifier (20 places), an european qualifier (8 places) and a Home Nation qualifier (4 places) take place. The european Tour events always are played at a weekend, most of them in Germany, one in Austria and one in Holland. All the price money goes to PDC Pro Tour Order of Merit and the PDC Order of Merit through which players can qualify for different PDC Major tournaments. The PDC Europe is not a member organisation one can join, it is a tournament organiser responsible for the PDC European Tour and other continental tournaments afiliated to the PDC. To be able to take part in the tournaments continental players have to qualify. Behind the PDC Europe stands the Langenbahn von Moltke Promotion GmbH. The managing directors are Werner von Moltke und Dieter Langenbahn. The tournament director of the PDC Europe is Torsten Broksch who has a lot of experience with soft darts, responsible for the media is Sebastian Meyer.